In the field of flow control, autonomously regulated valves that exclude any moving parts are extremely reliable, yet research on these devices is sparse. 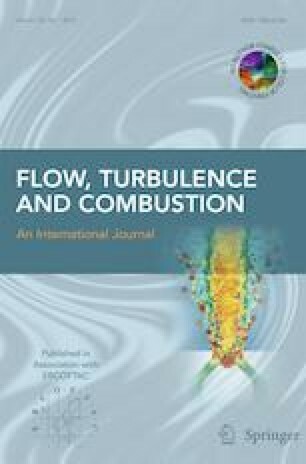 Aiming toward better understanding of their hydrodynamics, our study used a three-dimensional (3D) computational fluid dynamics (CFD) model to describe the velocity fields and pressure differentials in a fluidic device with no moving components and two tangential inlet nozzles that induced swirl within a circular cavity. Specifically, flows at high Reynolds number values (for which inertia dominates) followed the tangential path and resulted in higher pressure loss because of induced rotation within the circular cavity. Flows at lower Reynolds number values followed the pressure gradient toward the outlet and exited the tangential path via radial channels, lowering the overall pressure loss. The distribution of the flow through the various radial passages was calculated for different regimens and correlated to the Reynolds numbers. The observed streamlines and pressure differential trend corroborated the design intent of the Reynolds-Number-Sensitive Fluidic Resistor (RNSFR), which intends to separate different fluids based on their viscosity. Particle image velocimetry (PIV) measurements were performed to validate the computations. The author would like to thank the financial and technical support from Halliburton Energy Services, Inc. Additional appreciation is extended to the Ohio Supercomputer Center for their technical support. This study was funded by Halliburton Energy Services, Inc.